Rudolf Kastner, the Zionist leader in Hungary, made a deal with Adolf Eichmann. For allowing 1700 hand-picked Zionists to go to Palestine, he would help transfer 460,000 Hungarian Jews to death camps. 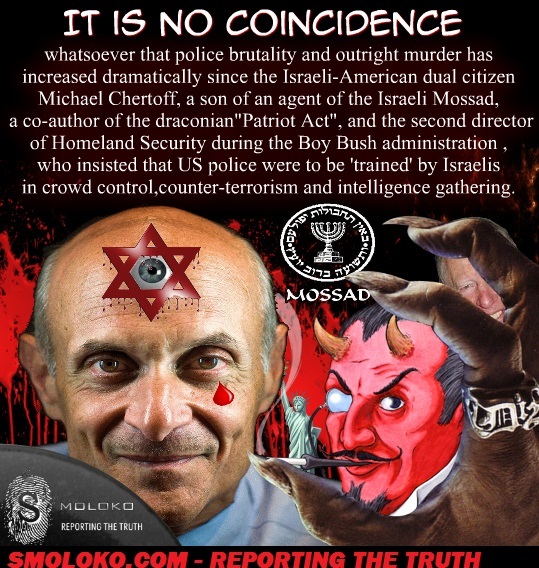 Kastner acted with the approval of the World Zionist Organization. He was murdered in 1957 to suppress the scandal. Just as feminism does not represent women, Zionism does not represent Jews. The “far-reaching plan” is the enslavement of humanity by a handfull of “elite” zionists or satanists because both are names for the same people. In his book, Holocaust Victims Accuse, Rabbi Shonfeld called the Zionists “war criminals” who usurped the leadership of the Jewish people, betrayed their trust, and after their annihilation, reaped the moral capital. The more Jews died, the stronger the moral case for Israel. On Nov. 25, 1940, a boat carrying Jewish refugees from Nazi Europe, the “Patria,” exploded and sank off the coast of Palestine killing 252 people. The Zionist “Haganah” [army] claimed the passengers blew up the ship, Masada style, to protest British refusal to let them land. Years later, the Haganah admitted that rather than let the passengers go to Mauritius, they blew up the vessel for its propaganda value. “Sometimes it is necessary to sacrifice the few in order to save the many,” Moshe Sharett, a former Israeli Prime Minister said at Patra memorial service in 1958. 252 people murdered by the people they trusted. How’s that for fanatical? 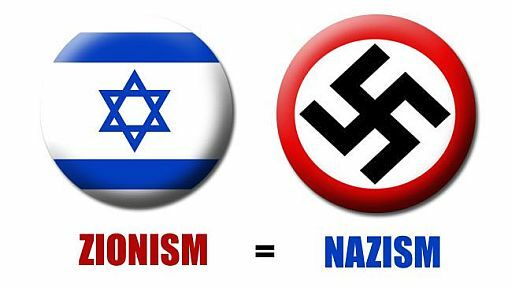 But the Zionists have the blood of many more Jews on their hands. During the Holocaust, Jewish life had no value unless it promoted the Zionist cause. “One goat in Israel is worth more than the whole Diaspora,” Yitzhak Greenbaum, head of the Jewish Agency’s “Rescue Committee,” said. Rabbi Moshe Shonfeld accuses the Zionists of collaborating in the Nazi slaughter of European Jewry directly and indirectly. The charges are contained in his book, “Holocaust Victims Accuse” (1977) which is on line. ADOLF HITLER WAS A ROTHSCHILD: EVIDENCE! Rabbi Shonfeld calls the Zionists “war criminals” who usurped the leadership of the Jewish people, betrayed their trust and, after their annihilation, reaped the moral capital. — While European Jews were hostage to the Nazis, Zionist leaders in America deliberately provoked and enraged Hitler. They began in 1933 by initiating a worldwide boycott of Nazi goods. Dieter von Wissliczeny, Adolph Eichmann’s lieutenant, told Rabbi Weissmandl that in 1941 Hitler flew into a rage when U.S. Zionist Rabbi Stephen Wise, in the name of the entire Jewish people, “declared war on Germany”. In Jan. 1942, he convened the “Wannsee Conference” where the “final solution” took shape. — Rabbi Shonfeld says the Nazis chose Zionist activists to run the “Judenrats” and to be Jewish police or Kapos. The Zionists were often intellectuals who were often “more cruel than the Nazis” and kept the trains’ final destination a secret. In contrast to secular Zionists, Shonfeld says Orthodox Jewish Rabbis refused to collaborate and tended their beleaguered flocks to the end. — Rabbi Shonfeld cites numerous instances where Zionists sabotaged attempts to organize resistance, ransom, and relief. They undermined an effort by Vladimir Jabotinsky to arm Jews before the war. They stopped a program by American orthodox Jews to send food parcels to the ghettos (where child mortality was 60%) saying it violated the boycott. They thwarted a British parliamentary initiative to send refugees to Mauritius, demanding they go to Palestine instead. They blocked a similar initiative in the US Congress. At the same time, they rescued young Zionists. None of the above is intended to absolve the Nazis of responsibility. However, the Holocaust could have been prevented or at least alleviated had the Zionist leadership behaved honorably. It is outrageous that Israel claims to represent the Jewish people, and even more outrageous that many Jews fall for this subterfuge.